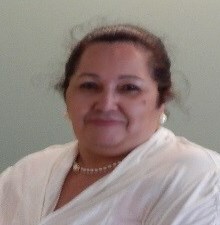 Hannia was was born in Costa Rica and has lived in Norwalk for the past 50 years. Hannia received an Associates Degree in Human Services from Norwalk Community College in 1996. Since then she has worked in the Human Services field and has worked with diverse populations. Hannia enjoys crafts, making jewelry and planning events.